GOSEVA WORLD Is more transparent to publish the donor details to the public ! 2 R S R A K P SRINIVASA KUMAR to-goseva 06#08#2018 1116 Transferred cash Thanks much for your contribution and supporting us.Spent every penny to the event. 3 Vishnu Murthy m in-cash 29#12#2017 10000 For organization registration charges and fee Ok.
4 Vishnu Murthy m in-cash 12#10#2017 9000 www.gosevaworld.org domain purchase for three years Ok.
6 Kranthi Tumma in-cash 06#08#2018 5001 Good Luck Thanks much for your contribution and supporting us.Spent every penny to the event. 13 Rama Yanamandala in-cash 28#04#2018 5000 Happy to contribute for a great cause You are the first donor for first live event.Thanks much for your contribution and supporting us.Spent every penny to the event. 14 Sridhar Damarla to-goseva 10#09#2018 10116 GOSEVA world is really doing very good job in protecting Indian Desi cows and bulls which supposed to be done by every Indian. Appreciate their good work and God bless this mission and people who support the mission. Thanks much for your contribution and supporting us.Spent every penny to the event. 15 yughandar kaila to-goseva 1#9#2018 1500 Contributed to 1500 rupees Thanks much for your contribution and supporting us.Spent every penny to the event. 17 Yughndar kaila if-any 29#12#2017 500 stationary+ stamps purchaged Thanks much for your contribution and supporting us.Spent every penny to the event. 18 Likith to-goseva 15#12#2018 1001 Likit is studying 3rd class,contributed his pocket money.he informed happy to participating in goseva noble cause. Thanks much for your contribution and supporting us.Spent every penny to the event. 20 Yughndarreddy family to-goseva 15#12#2018 1116 i wish Goseva world to sucseed in all corners.everyone has to support the noble cause with their little efforts.now A days beggar donot accept one rupee but good people thinking in deep to contribute one rupee to the organizations from their pocket.this thinking has to change.all the best to goseva world. Thanks much for your contribution and supporting us.program is posponed due to pethy cyclone we will conduct this event on telugu ugadi and donation will be used for the same. 22 Ganesh Devulapalli to-goseva 16#12#2018 516 Na Thanks much for your contribution and supporting us.Spent every penny to the event. 23 P. Sirisha to-goseva 17#12#2018 516 Donation for a cause Thanks much for your contribution and supporting us.Spent every penny to the event. 24 Srinivas Kumar SLV to-goseva 17#12#2018 501 Keep up the good work Thanks much for your contribution and supporting us.Spent every penny to the event. Tent chairs bandmelam mike tea snacks et Thanks much for your contribution and supporting us.also you are supporting us through the help line to help farmers#gosevaks across india.we proud to have your service.thank you so much sai garu. 26 Durga Rani & Nageswara Rao D to-goseva 19#12#2018 10116 Donation towards Seva to Holy Indian cows Thank you so much for your contribution and supporting us again.donation hand overed to annapurna gosala and purchaged the feed bags.which are very needy now. 27 vishnu m in-cash 29#12#2017 1600 organization formation complementary gifts to the associated memembers Ok.
28 Vishnu m in-cash 22#08#2018 5700 Program :Jd lakshmi narayana garu field visiting and awareness program at kakulapadu. Annapurna gosamrkshana samithi arranged food for all farmers and stage arranments done for the event. Thank you somuch and supporting us.Annapurna gosamrkshna samithi saving unsecured and unmiliking cows andfeeding them,goseva world is proud to work with anna purna go samrkshna samithi and development.we need more support from the all people. 30 vishnu m in-cash 10#11#2018 500 free bulls event, Gifts presanted to the honor guests Ok.
31 vishnu m in-cash 00#00#2018 5000 New current account opened for the organization cash amount 5000 rupees Ok.
32 vishnu m in-cash 00#08#2018 1001 1001 Rupees contribited on behalf of GOSEVA WORLD for kerala flood relief funds which was intiated by anushree-tcs employee.contribution to purchage snacks and biscuits.. Ok.
total amount for the part -1 report 18100, vishnu paid 12000 still yet to pay 6000rs associated baif employee. we have recived the partial contributions and spent every penny to the event. 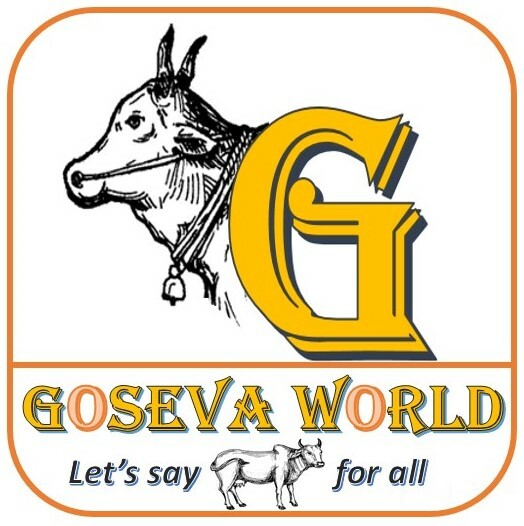 Note: If recived funds not meet with expense report amount then amount has spent by chairman on behalf of goseva world. Ok.
35 Suresh m if-any 02#01#2019 800 receipts book printed for Goseva world Thank you so much for your contribution and supporting us. 36 Sridhar bommisetty in-cash 04#08#2018 2000 contribution for natural farming program.all the best to goseva world Thanks much for your contribution and supporting us.spent every penny to the event. 37 Gayitri Gokulam(ujwal) to-goseva 16#12#2018 500 Did not contribute any fodder Thanks much for your contribution and supporting us.program is posponed due to pethy cyclone we will conduct this event on telugu ugadi and donation will be used for the same. 38 vishnu m in-cash 00#00#2018 1500 Goseva world paid for the membership to sale farmer' s organic rice thru third party website.goseva world supported the farmer as our level best.farmer from kakulapadu village. Ok.
39 G. Somesh to-goseva 19022019 1111 I Donated Rs1111 to Goseva World to Cow protection Thank you so much for your contribution and supporting us. 40 Sivasagar to-goseva 20#03#2019 1001 Please use it for welfare of cows Thank you so much for your contribution and supporting us. Thank you so much for your contribution and supporting us.